A team of 6 healers traveled to Nicaragua from Maryland in the US for 10 days in August. 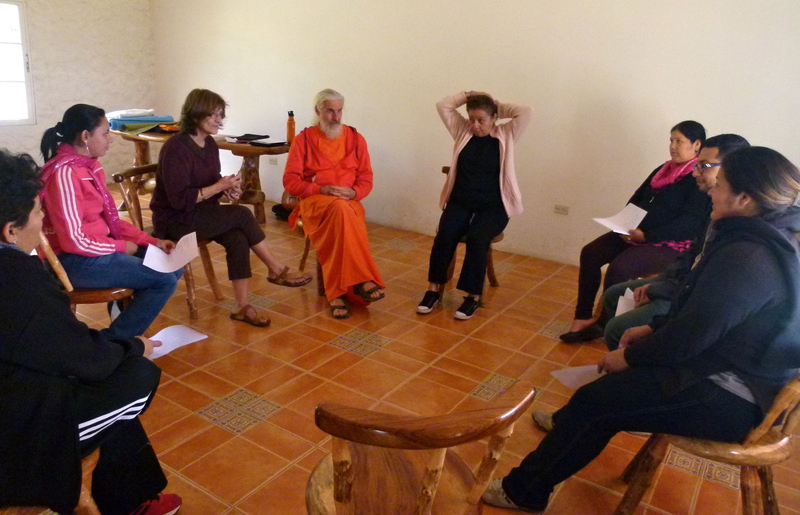 The group learned about the country and its history, practiced the ministry of presence and led two retreats. Staff of the partners of ProNica (see http://www.pronica.org) were invited to participate in the retreats. The workshops included community building, trauma healing awareness and hands on healing. About 60 people participated in the two workshops – one in Managua and the other near Matagalpa. Repairing the damage and building resiliency among those working for social justice is essential for peace building anywhere. It’s especially important in Nicaragua where people have been buffeted by wars, poverty, earthquakes and storms for many generations. Those who labor on the front-lines are invaluable in transforming the scars of multiple traumas into positive change for individuals and communities. Their work with marginalized people, street children and victims of violence is honorable – and stressful. Our workshops/ retreats were offerings to help keep the leadership strong of body, mind and spirit. So their organizations can continue their amazing work. Call us at 202-329-4667 for more information. Fun-raiser April 25th, 2015 7 – 10 p.m.
A party to raise funds for our peace and healing teams to Nicaragua. (The next team travels from August 13-23, 2015.) Live music begins with Bronson Hoover on jazz piano and features the Hollow Prophets, a classic rock band. Drinks available for tips or bring your own bottle. Co-sponsored by Sandy Spring Friends Peace Committee, Pro-Nica http://www.pronica.org & Just Peace Circles, Inc. Venue: Eden Valley- in the woods of Howard County, MD, just west of Columbia, less than an hour from Washington or Baltimore. Contact Bette for more info at 202-329-4667. Bette has been working for peace with justice in Central America since she founded CASA de Maryland www.casademaryland in 1985. Recently she traveled to Guatemala, Nicaragua and Honduras. In Guatemala, she traveled with the Highlands Support Project www.highlandsupportproject.org to the ancient Mayan capital of Xela (aka Quetzaltenango). The program has organized 26 women’s circles in the villages of the highlands. In Nicaragua, Bette joined a wedding caravan for her dear friend, Becca Wheaton, and spent time in the village of Jinocuao as well as Granada and San Juan del Sur. 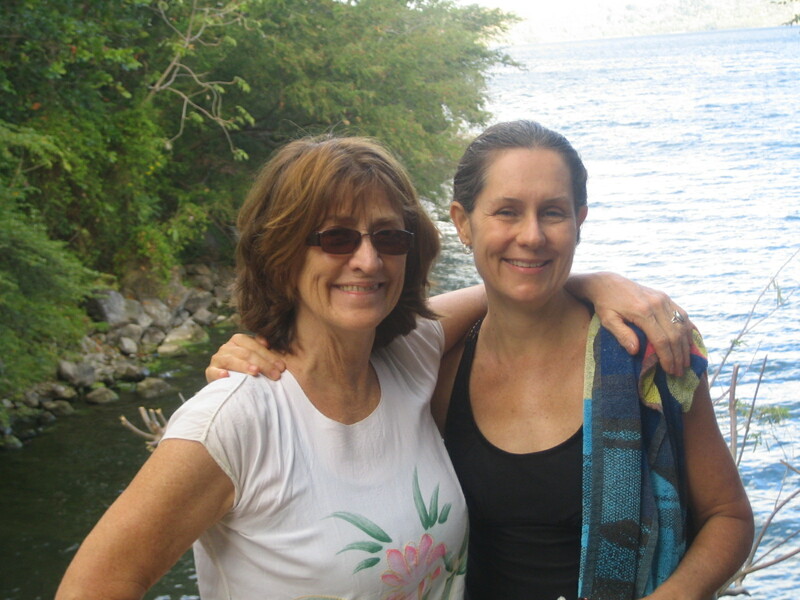 After the wedding, she connected with Jenny Atlee and Tom Loudon and met her old friend Dada Maheshvarananda for their trip to Honduras. Jenny & Tom are based in Managua, Nicaragua for their organization “Friendship of the Americas” www.friendshipamericas.org. Since the Honduran coup of 2009, the situation there is highly unstable and thus much of their work is currently focused on Honduras. The Report of the Commission of Truth on which Tom worked was published in April 2013 and documents “the voice of greatest authority…the victims”. 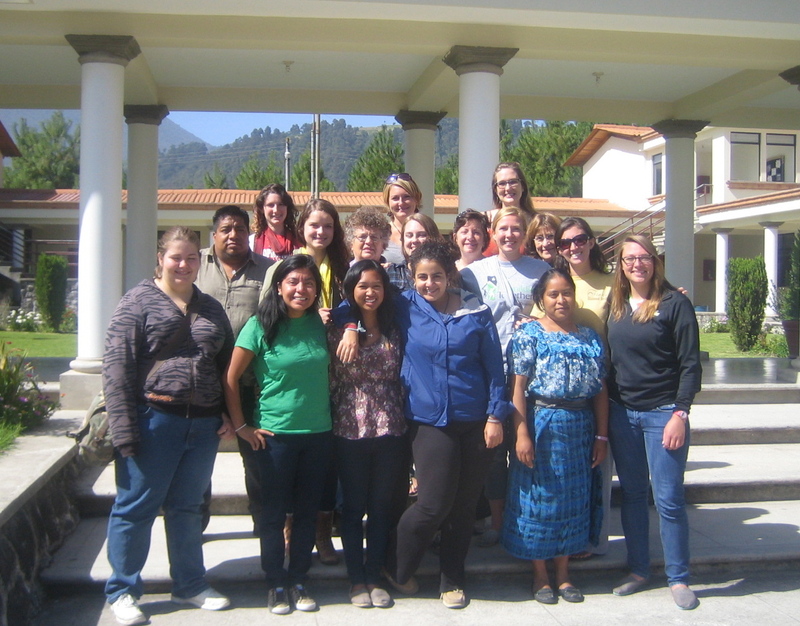 Their Project of Accompaniment in Honduras (PROAH) provides an international presence to those who document the human rights violations and disappearances. See the PROAH blog on the right side of their website. We were invited to come to Tegucigalpa, Honduras, to support the staff of COFADEH -The Commission of the Families of the Disappeared www.cofadeh.hn -who are on the front lines of the work for justice in this troubled country. The organization has spent more than 25 years documenting deaths and disappearances and since the 2009 coup they have been incredibly busy! The bus ride was about 9 hours each way with a long border crossing and police stops along the way. With some trepidation (after all, Honduras had the highest murder rate in the world in 2013), we crossed the border into the mountains of Honduras and found our way into the capital city. 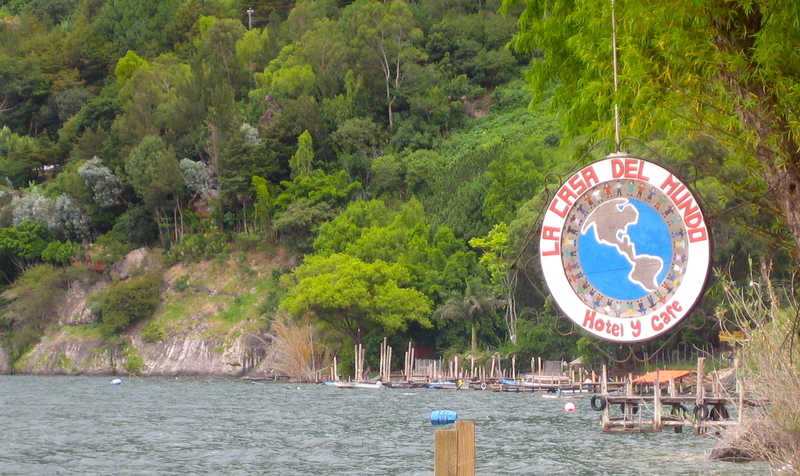 Bertha Oliva, COFADEH’s executive director, had decided to give her entire staff of 18 a day out of the city for “sesiones de terapia relajamiento” or sessions of relaxation therapy. Each day we journeyed by mini-bus out of the city and into the mountains to their beautiful retreat house called “Lugar Contra la Olvida” (a place against forgetting). It was funded by a gift to Bertha from the European Union for COFADEH’s human rights work. Bette and Dada led peace circles, cooperative games, yoga and meditation, singing and body work that renewed the staff to wholeness. Everyone returned to their work with renewed energy and increased understanding of how to reduce the stress in their own bodies and support each other better. We promised we’d tell their stories back home and return to support their important work. 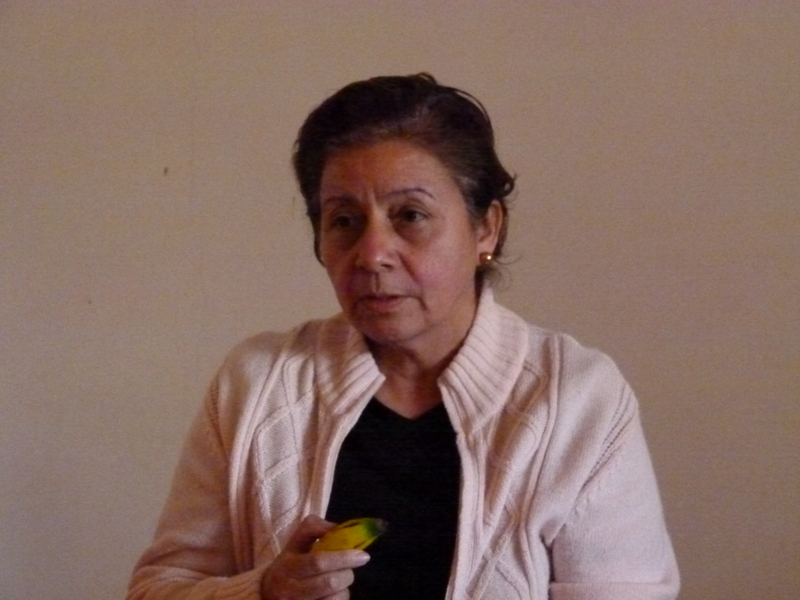 We will see Bertha Oliva when she comes to Washington DC in March 2014 to testify to the Organization for American States about the situation in her country. Bette & Dada facilitating a peace circle for healing and relaxation. We are looking for peace workers and healers to join us in return trips to support our sisters and brothers of COFADEH and PROAH in their work and let them know they are not forgotten. After all, we all all one family, and what affects any of us affects all of us. We do this work so we all may be healthy and live peaceful, happy lives. A word on Guatemala: Since the US overthrew the democratically elected government in 1955 and imposed military rule, the military rules. Although their civil war of 36 years ended in peace accords in 1996, it’s not a peaceful country. Neo-liberal capitalism supports 10 wealthy families who own most of the land. NAFTA – true to its reputation – benefits the US and causes great hardship on trade from Guatemala. Adding to their already troubled economy, the US deports 2000 to 4000 persons back to Guatemala every month. The indigenous (Mayan) are about 60% illiterate, and 2 out of 6 children are “drastically” malnourished (meaning mental and physical health is stunted for life). There is a doctor to about each 100,000 people in the countryside. Village leaders who don’t obey government and military orders are accused of “drug – dealing” and put in jail with no recourse. Women who organize are specifically targeted for repression. Our sources spoke of a revolution needing to happen. The exciting thing that’s happening in the country is the renaissance of mayan culture and indigenous ways. We saw it bubbling up everywhere as women are recovering their voices and power and reconnecting to “madre tierra” (mother earth). 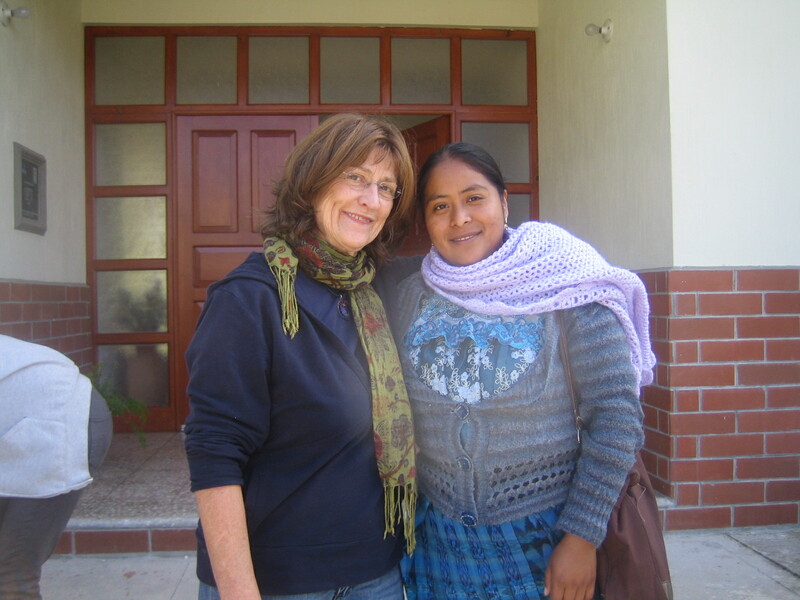 Bette & Mirna, a Mayan woman working with the project. 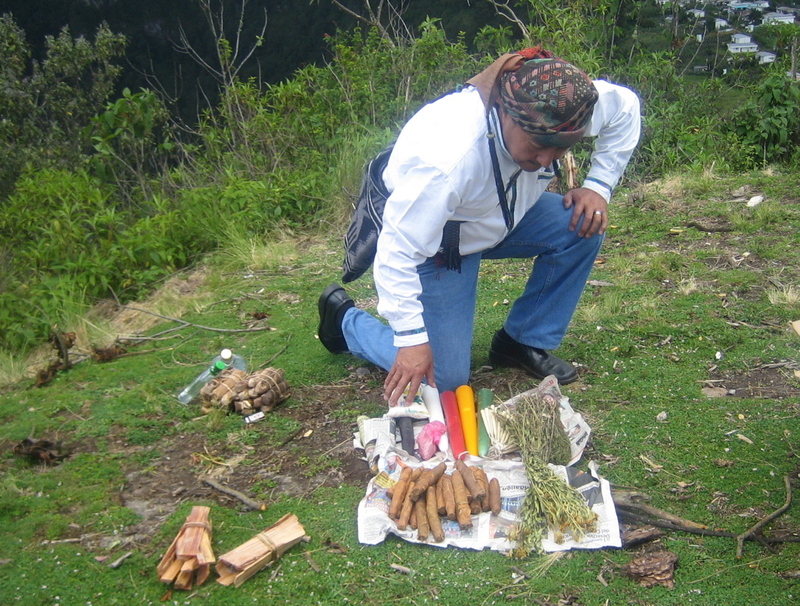 Mayan Anthropologist preparing to lead a ceremony. 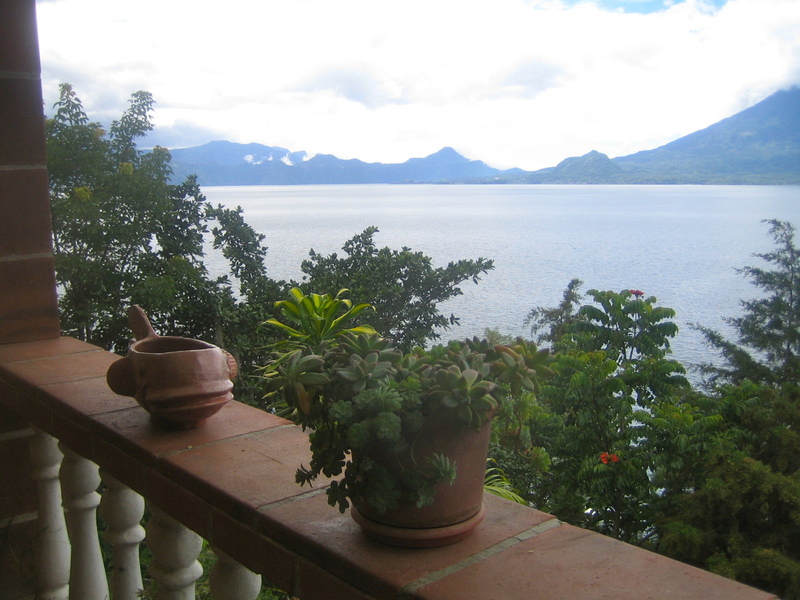 The view of Lake Atitlan from Casa del Mundo. ~ and sometimes magic happens! The Circle Keeper responds to the question first. Suspend the use of the talking piece for brainstorming or facilitated discussion. Return to its use as needed. Circle Keeping is simple – but it isn’t easy!